1997 September: Details of the long awaited small LandRover, the Freelander, code-name CB40, were released at the Frankfurt Motor Show. The LandRover Freelander is essentially a front wheel drive car with a transverse engine and gearbox. Drive is also taken, via a viscous coupling, to the rear wheels. The rear differential ratio is slightly taller than the front (3.214:1 v. 3.188:1 with the petrol engine) so that some torque is always going through the rear wheels, even in the absence of any wheel slip at the front. The 1.8 litre K-series petrol engine is shared with the MG-F sports car but here tuned differently. It is really too small, especially compared to the competition which has 2-litres, or more. The 2-litre turbo charged diesel, on the other hand, looks good for economical driving. 2000 August: A revised LandRover Freelander was released in the UK with a choice between a 2.5-litre V6 petrol engine, and a Td4 2-litre direct-injection diesel. The V6 (as in the Rover 75) develops 130kW at 6500rpm and 240Nm at 4000rpm. It can be had with a 5-speed automatic transmission with sport mode and Steptronic control. The Td4 is a 2-litre, 16-valve, direct injection engine, with "common rail" injection. 2001 February: 3-Door Softback V6 auto SE $37,950, 3-Door Softback V6 auto ES $41,950, 5-Door Wagon V6 auto SE $39,950, 5-Door Wagon V6 auto ES $43,950, 5-Door Wagon Td4 manual SE $39,950, 5-Door Wagon Td4 auto SE $41,950 ($au 2/2001). 2003 August: The Freelander got the overlapping head-lights of the new LandRover "look", as on the current Range Rover and Discovery. 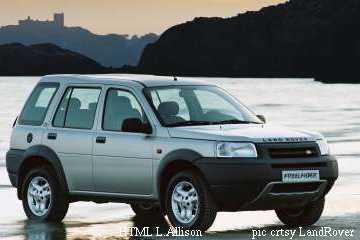 July 2006: The all new Freelander 2 had grown by 200kg v. the previous model -- as cars almost always do. ground clearance 210mm, wading 0.5m. 3.2 litre, straight-6 (I6), 171kW, 240Nm, 11.2L/100km claimed. 2.2 litre, 4-cyl, turbocharged, 118kW @ 4000rpm, 400Nm @ 2000rpm, 7.5L/100km claimed. 6-speed automatic in .au. (and manual transmission UK?). 5-star European NCAP European NCAP. 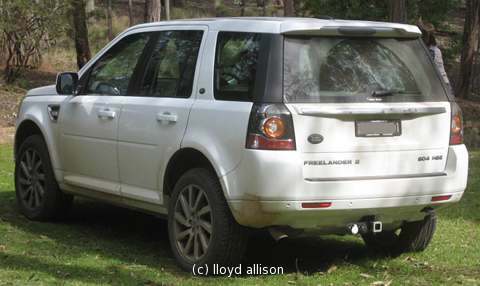 2007 July: The Freelander 2 is on sale in .au. SE, I6 $50K; HSE, Td4 $58K ($au). 2009 May: Si6 SE $49,990, TD4 SE $52,790, Si6 HSE $55,990, TD4 HSE $58,790 (rrp $au). 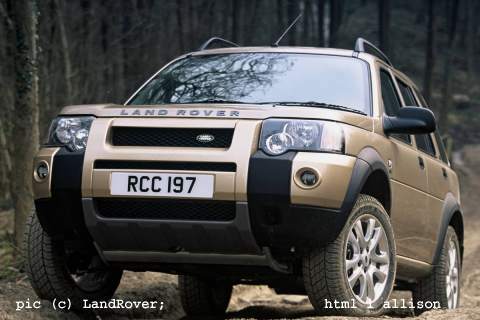 2008: Land Rover has been testing Freelander diesel-electric hybrid experimental prototypes with one eye on high fuel prices and another on EEC plans to restrict vehicle CO2 emissions. Features being tested include "an Electric Rear Axle Drive (ERAD)" allowing electric-only 4×4 drive, "a Crank Integrated Starter / Generator (CISG) ... a [288 v] lithium ion battery pack." 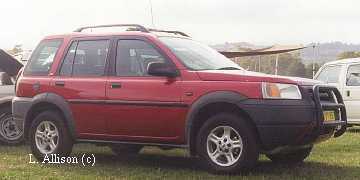 2011, March 28, Halewood, Merseyside: The 250,000th Freelander 2 was produced (and the 300,000th on 3 May 2012). 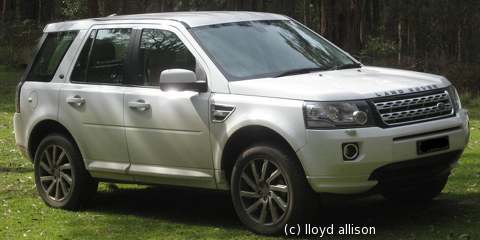 2011, September, .au: Freelander 2s were being advertised from au$48K, drive away. 2012, August: The Freelander 2 got a face lift and improved gadgetry. 2014: Land Rover announced the 2015MY Freelander replacement but dropped the name in favour of the 'Discovery Sport'.